The Havana pendant lamp by Foscarini in the shape of a cigar was not given its name for nothing. Its appearance is a true statement piece in any room, not only because of its slender shape, but also because of its size. With a height of 130 cm, the light almost looks like an artistic sculpture that will never fail to attract attention. 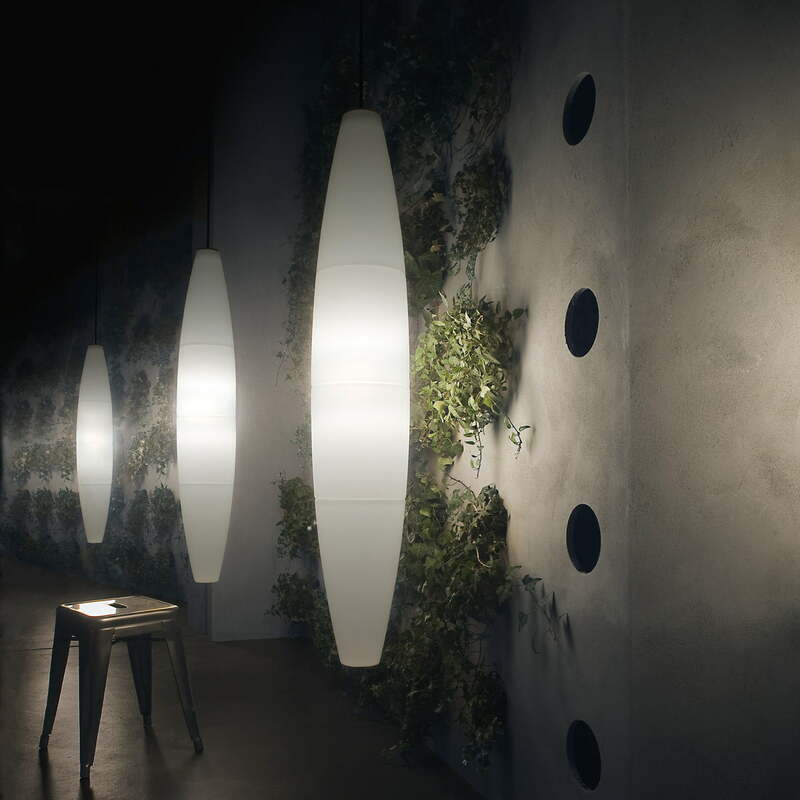 Thanks to its delicate silhouette and muted colours however, the lamp will never appear obtrusive. In 1993, the designer Jozeph Forakis came up with the idea for the Havana lamp which he wanted to make from plastic (polyethylene) - a material never used before by Foscani. Known for its glass models, the manufacturer agreed to produce the design by Jozeph Forakis from the unusual material. Forakis came up with the idea to split the light into multiple segments and to connect them with the help of small metal rings. As a result, the overall appearance is wonderfully light and almost appears like it is floating. Since 1990, it has been a part of the permanent collection of the New York Museum of Modern Art. Arranged alone or in spacious hallways or living rooms, the lamp is a real eye-catcher that provides pleasant indirect lighting. 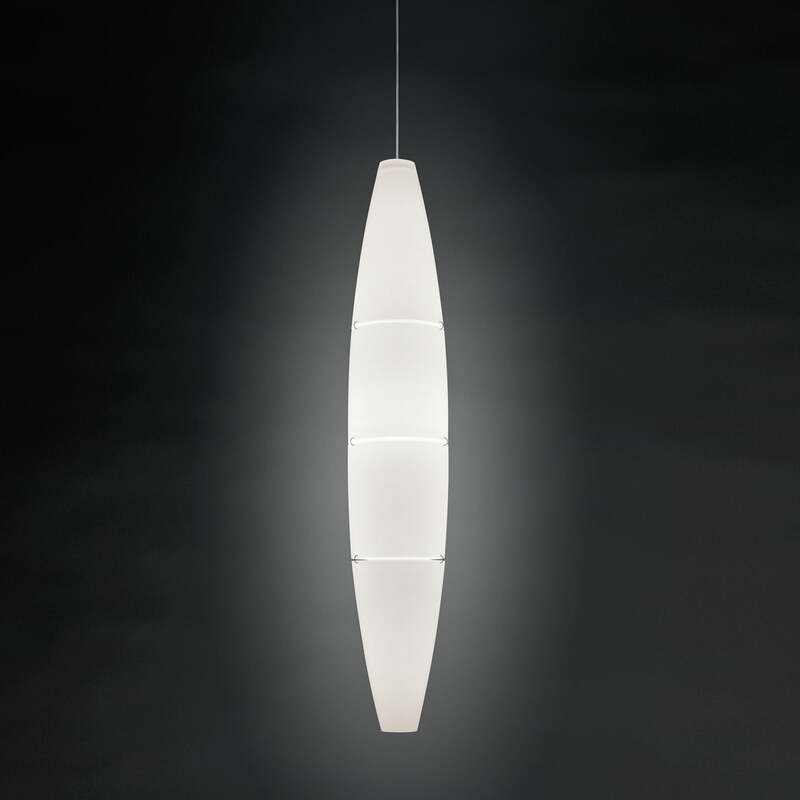 Isolated product image of the Foscarini - Havana Pendant Lamp, white. Its appearance is a true statement in any room, not only because of its slender shape, but also because of its size. 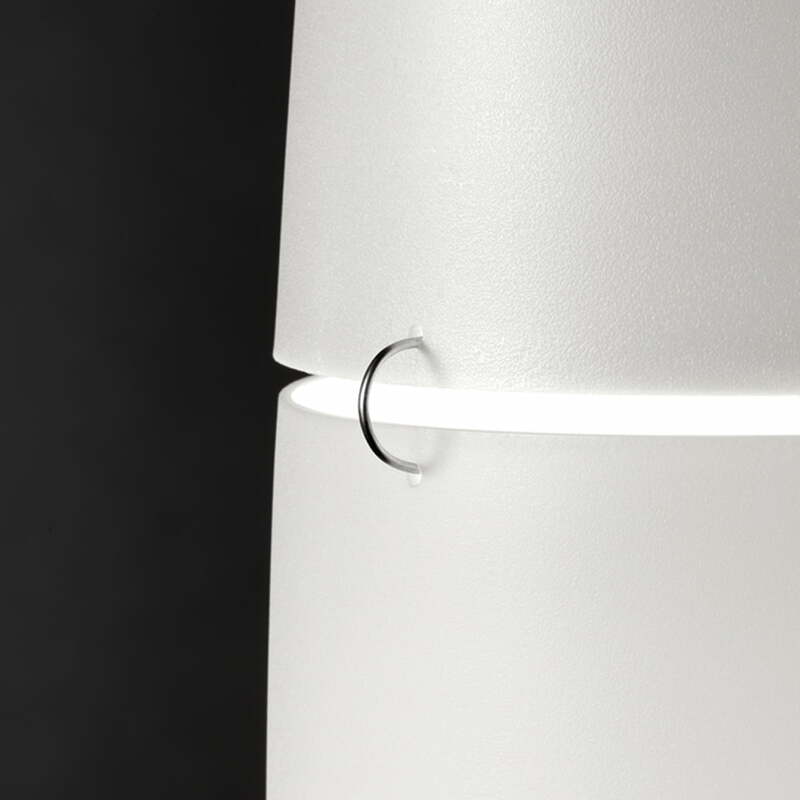 Isolated product image of the Foscarini - Havana pendant lamp. The Havana pendant lamp by Foscarini in the shape of a cigar was not given the name Havana for nothing. Detailed product image of the Havana Pendant Lamp by Foscarini. Forakis came up with the idea to split the light into multiple segments and to connect them with the help of small metal rings. Lifestyle product image of the Havana Pendant Lamp by Foscarini. Arranged alone or in spacious hallways or living rooms, the lamp is a real eye-catcher that provides pleasant indirect lighting.